Product prices and availability are accurate as of 2019-04-23 13:40:10 UTC and are subject to change. Any price and availability information displayed on http://www.amazon.com/ at the time of purchase will apply to the purchase of this product. 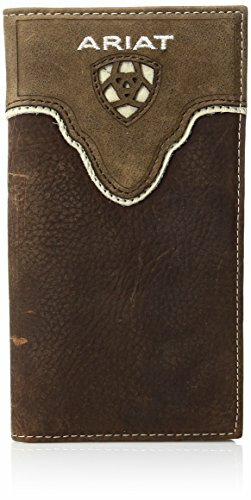 This Ariat rodeo wallet by medium and f western products features a distressed leather with an Ariat logo cut out and tope background. 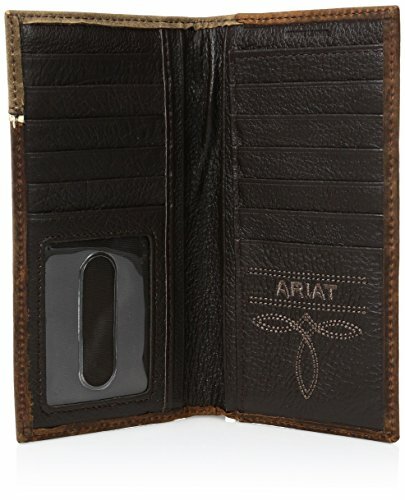 Inside features multiple compartments for your credit cards, cash, and a place for your id.